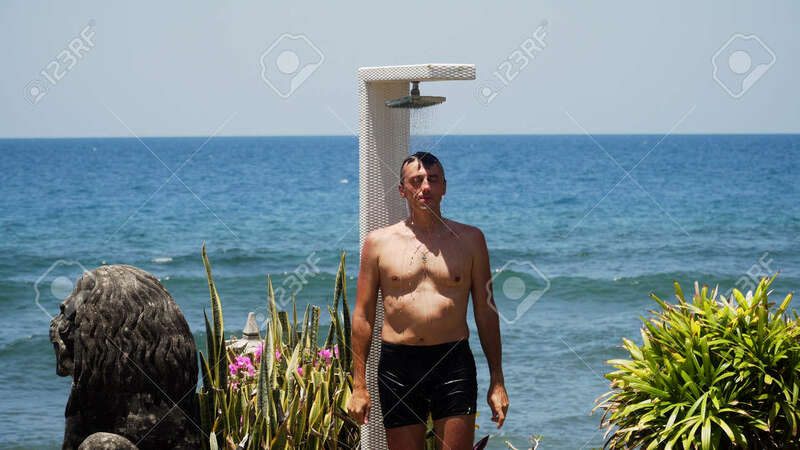 Man Takes Shower On His Body On Beach Shower Against Sea. Beach Shower Along Ocean, Travel Concept Lizenzfreie Fotos, Bilder Und Stock Fotografie. Image 115257397.